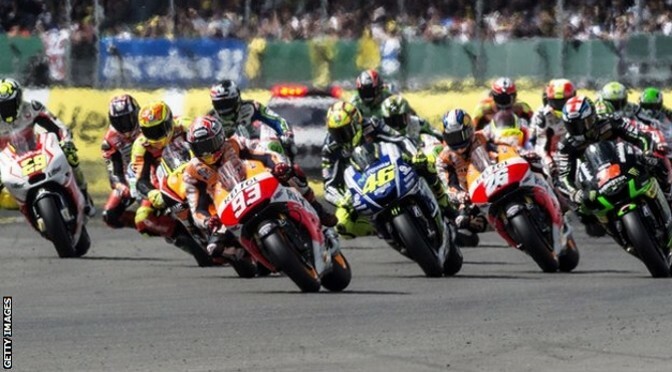 The 2015 British MotoGP has been left without a venue after Donington Park broke off their deal with Circuit of Wales to host the race on 30 August. 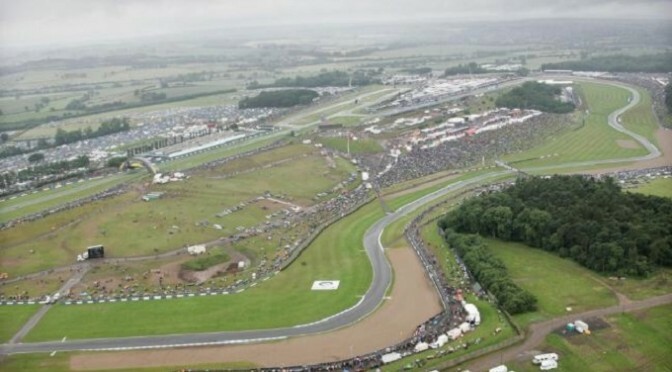 Circuit of Wales signed a five-year-deal to stage the race from 2015, but as the venue in Ebbw Vale has yet to be built, Donington stepped in. 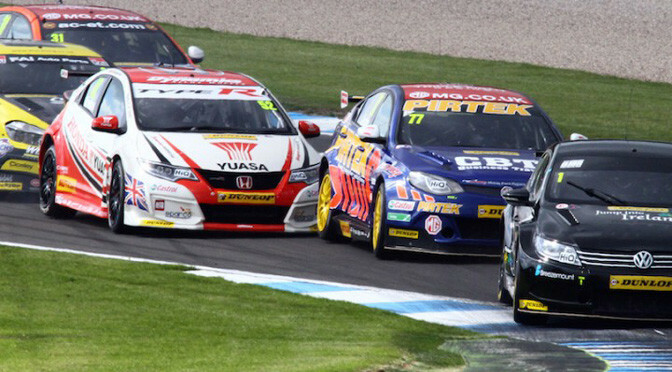 However, Donington say Circuit of Wales have not met agreed payment deadlines. Northamptonshire circuit Silverstone, which hosted MotoGP between 2010-14, could stage the race. Silverstone’s owners were “extremely disappointed” when their deal was not renewed after significant investment to allow the circuit to host MotoGP. In a statement, Donington Park said that as Circuit of Wales were unable to complete funding arrangements, the venue’s operational plans to host the race had been delayed. The circuit’s managing director Christopher Tate added: “The position we are now in is of course frustrating and uncomfortable for all concerned. “It is this week, way past any normal deadlines, when we – in partnership with Circuit of Wales – would have been committing to major expenditures. The MotoGP season, with Honda’s Marc Marquez the defending champion, starts on 29 March in Qatar. The British MotoGP is round 10 and takes place on 30 August. Donington Park will stage the British MotoGP for the first time in six years when the race returns in 2015. The Leicestershire track will hold it for one year before it moves to the yet-to-be-built Circuit of Wales. Bosses at Silverstone, which has hosted the event for the last five years, had hoped to retain it for another year. Donington Park staged the British MotoGP between 1987 and 2009. But Silverstone managing director Richard Phillips, is unhappy with the decision to hand the race to Donington Park after failing to agree terms on a deal for 2015. The Northamptonshire circuit, which has staged Formula 1’s British Grand Prix for the past 27 years, was partly redesigned to attract bike racing. Phillips said: “We have invested heavily in the circuit and facilities here at Silverstone, specifically to host MotoGP, and have developed the British Grand Prix into a highly successful event. The Circuit of Wales, which is to be built in Blaenau Gwent at a cost of £315m, has a five-year contract with MotoGP. But construction has been delayed by issues over common land and calls for the Welsh and UK governments to commit up to £50m towards the scheme.